What’s the most number of miles that you’ve ridden in a single day? This year’s Xtreme Challenge Madrid, which is based in Tres Cantos just north of the Spanish capital, attracted more than 500 participants, all of whom had set themselves the challenge of completing the circa 350 mile route. Various bike manufacturers were in attendance, with the local Ducati dealership even holding a raffle to give three lucky riders the chance to take part on the new 1260 Multistrada S for the day. 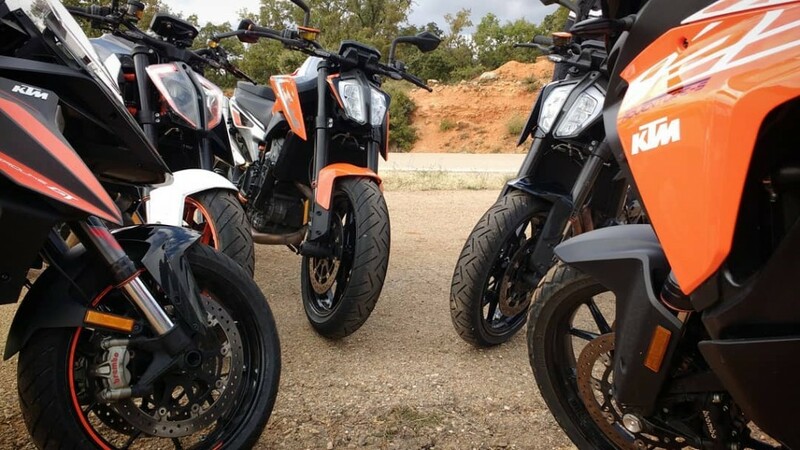 Continental were the official tyre of the event, with many of those taking part using the acclaimed ContiRoadAttack 3 sport touring tyre, which is available in a wide range of sizes for tourers, nakeds and adventure bikes. The route was meticulously planned by organisers, with five stopping points along the way, where riders would then pick up their next set of directions. Many weren’t in a rush however, taking every opportunity to chat with their fellow participants about the amazing array of bikes, roads and views on offer during the day. The initial group of riders left Tres Cantos before first light, with the first couple, from Seville, arriving at the finish line at 6pm, soon followed by a steady trail of other bikes. To some, a 350 mile day on the bike may not seem like much, but this event brought together a huge number of riders who all left as friends – and to us, that’s what biking is all about. This entry was posted in News and tagged Adventure, ContiRoadAttack 3, TKC 70. Bookmark the permalink.